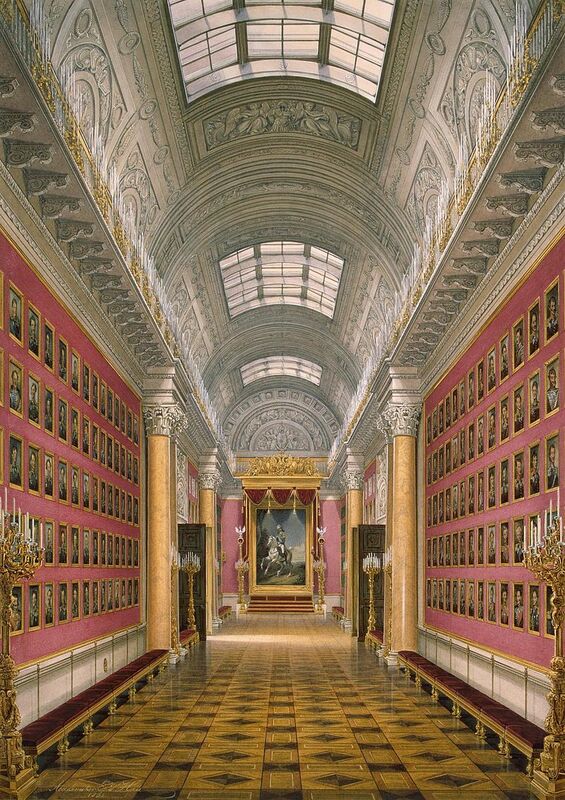 E. P. Gau, Views of the halls of the Winter Palace. The Military Gallery of 1812, 1862. I’m in St. Petersburg right now, enjoying my research leave and finding all sorts of lovely bits and pieces in the archives. I’ve been pleased to find some connections I hoped to find and frustrated by hints of larger stories I can’t follow. I’ve grinned, I’ve teared up, I’ve gasped out loud at a surprising turn a document took. (It’s possible I’m too emotionally engaged, but I don’t really think so.) I even have more of the dead cheese master’s story to tell, at least a bit. It’s not too surprising that a demand like this came out at this particular moment. After all, Napoleon had invaded mere weeks earlier. A fear of possible enemies within, a desire to know the true loyalty of the empire’s subjects—the Russian Empire is certainly not the only state to want to know all they could about such figures, particularly in a time of war. Perhaps that’s one reason why the local authorities clearly took this command seriously. The file contains a draft list with quite a lot of markup, and then two fair copies. Although that’s true, it’s equally true that they didn’t even seem to try to answer some of the requested information: the final document leaves blank the columns for future plans, and also largely ignores the question about the oath of loyalty. As a result, it’s hard to know whether this accounting really had anything to say about individual loyalty or trustworthiness, whatever the desires of the authorities in St. Petersburg. 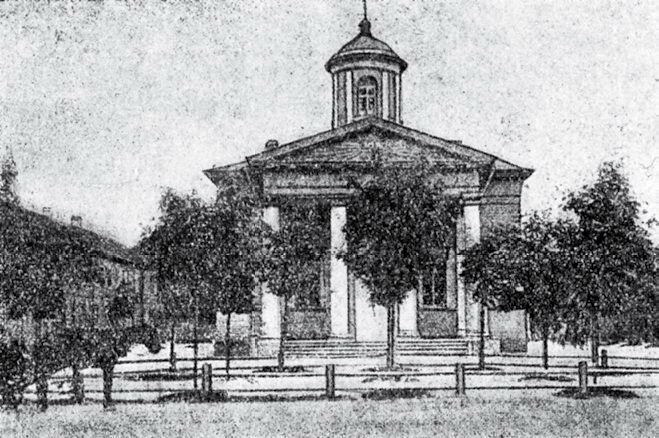 One of the Lutheran churches in Gatchina, St.Peter, finished 1800, from a 1911 postcard. The final list names 44 people (plus some children), 31 men and 13 women. Men’s ages are (almost always) noted, women’s never are. Many of the men worked for the palace or town administration. Friedrich Helmholtz (Фридриг Гельмгольц) and Jacob Hackett (Яков Гакет) were master gardeners, Hackett now retired. Both were also named on an earlier (1799/1800) list of employees of the palace or town administration, as Fedor Gel’mgol’ts and Zhames (James) Gaket. Others were foresters or gamekeepers. Maria Ivanova Neimanova (Марья Иванова Нейманова) was the widow of the former master chimney sweep for the palace. Many of the rest were craftsmen or merchants, some registered in Gatchina, some in Petersburg and living there on a permit. Another, Christian Köln (Крестьян Кельн), age 48, married and with one daughter, was the organist at the Lutheran church. The lists suggests that Gatchina was a busy place, still attractive to newcomers seeking work. But it also suggests that the very category of “foreigner” was a particularly complicated one in early nineteenth century Russia. Exactly half of the people listed on the table—22—were foreigners by birth in any sense of the word. All of these 22 were men, and all had entered Russia at some point over the last forty-odd years (the earliest to enter was the retired carpenter Friedrich Kisling in 1768, the most recent several men who had arrived in 1806, working in forestry or as artisans). They came from Prussia, from Saxony, from England, from Sweden, from Hungary, or from various smaller German principalities or towns (Lübeck, Danzig). None had taken an oath of loyalty or subjecthood, but given that a number of them had been living in Gatchina for decades, and were married with children, one wonders if that’s simply because no one ever suggested it to them. Even so, they were indeed foreign born, and so including them on a list of foreigners makes sense. The other half, however, were something rather different. Five of the figures listed on the table had themselves been born in Russia, but were apparently considered to be foreigners because their fathers had been foreigners. So, birth and continued work and residence in Russia was not enough to be considered native. One of them, Maria Petrovna Petersonova (Петерсонова), whose last name is a Russified version of Peterson, did not know where her father had come from, but the name suggested her father’s foreign origin. In her case, this is true despite the fact that she was the widow of a provincial secretary named Beliaev (Беляев). Women did not lose social rank by marriage; apparently they did not lose nationality by marriage, either. The remaining 17 figures were born within the Russian Empire, in Vyborg, in Derpt (Dorpat or Tartu), in Riga, or in one of the Baltic provinces. They had all been born long after (or reasonably long after) those territories were incorporated into the empire, and thus were born subjects of the emperor, and yet here they are considered foreigners. It may be that this list obscures the similarities between the different origins of foreignness here—perhaps all these figures were marked as foreign because they were German speakers, or because they attended the Lutheran church in the town? One of the figures might have done so, but was also perfectly capable of speaking and writing good Russian. Carl Unge (Карл Унге), 65, was listed, though in his case only because “his father is a Lifland native.” Unge currently held the rank of collegiate assessor, and the position of bailiff of the salt supply. But a decade or so before, he had been one of the local authorities in Gatchina who oversaw the dismantling of the dead cheese master’s estate. And so I can say with personal knowledge that he wrote Russian just fine (perhaps not in the neatest hand, but he was hardly alone in that). The other Lutheran church in Gatchina, St.Nicholas, built later, 1825-28. 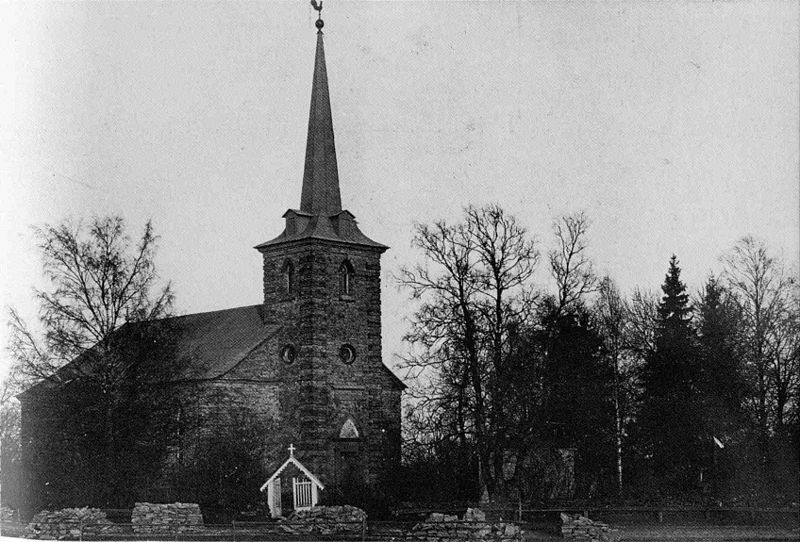 It replaced an earlier wooden church. This then brings up another question that the documents themselves give no hint of: why were natives of these other provinces or towns of the Russian Empire “foreign,” but the large local Finnish population not? Many of the peasants around Gatchina were Finnish and attended the Lutheran church. Of course there’s the very practical reason that they lived not in the town but in the villages. But even more, listing them among the foreigners would make even less sense than listing the Russian-born children of foreigners, or the Russian subjects born in a neighboring province—they were, after all, the real natives of the area, with the Russians the foreign interlopers (and that brings up another thought: assuming authorities in Riga were asked to draw up such a list, they couldn’t have listed people born in Riga as foreigners, could they?). Perhaps the real lesson is that making lists of foreigners in a given town (or at a given workplace?) is at best rife with inconsistencies based in how the concept is defined, and at worst a means to force people into outsider status, whatever their actual value and connection to that given place. I mean, what would the military gallery in the first picture I included here look like if the men who qualified as “foreigner” based on this list were removed?